The 2019 U19 Team Washington will be competing in the US Lacrosse Women's National Tournament held in Baltimore, MD over Memorial Day weekend, May 25-26, 2019. More information on the tournament can be found HERE. 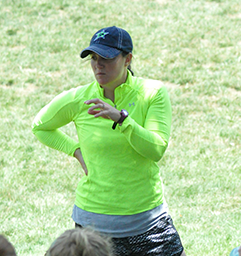 Lyndsey Gillis is the varsity head coach and program director of Mercer Island Girls’ Lacrosse and Seattle Starz Girls Lacrosse Program. She also currently serves on the WSLA board and was the 2017 WSLA Coach of the Year. Prior to taking on the MI position, Gillis spent five seasons as the varsity head coach at Seattle Preparatory School and two seasons at Greenwich Academy in Greenwich, CT. A standout midfielder at Bowdoin College, Gillis was a member of three NCAA tournament teams and an Academic All-American. She earned her Master’s degree from the University of Washington. spent nine years coaching at the NCAA DIII level, most recently as the head coach of the U.S. Coast Guard Academy. 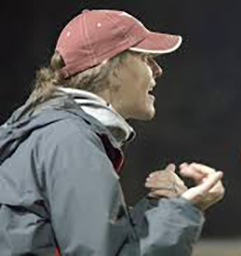 During that time she coached four NCAA All-Americans, seven IWLCA All-Region players and three NCAA tournament teams. Bonner played women’s lacrosse and was on the inaugural field hockey team at the University of New England where she was named UNE Female Athlete of the Year in 2005. She earned her Master’s in Sports and Exercise Studies from Smith College.